A banana allergy is a hypersensitivity reaction to proteins present in banana. The allergic reaction takes place after banana is consumed and these reactions can range from mild to life-threatening. Any adult or child who exhibits certain undesirable symptoms after the intake of banana or banana-based food items must immediately consult their doctor. Having a banana allergy is linked to a latex allergy. The proteins present in the rubber tree, which produce latex are the main cause of allergy. These proteins are similar to the proteins found in certain fruits, such as banana. Allergy to bananas is possible due to the presence of protein chitinase. The inability of the human body to break down chitinase triggers the immune system, which in turn produces immunoglobulin E, antibodies to the allergens. These antibodies further produce histamine that acts on different areas of the body, such as eyes, nose, gastrointestinal tract, lungs, and skin to produce undesirable symptoms. Such a reaction is a type 1 allergy, a type of hypersensitivity produced by the immune system. 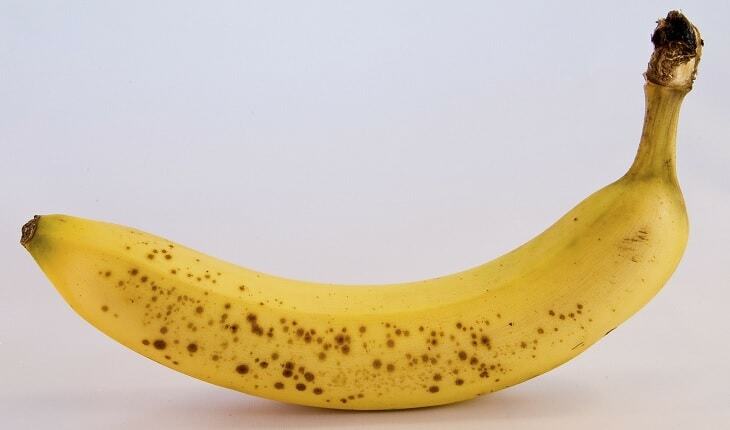 Pollen is another possible trigger that can cause hypersensitivity to banana. If you are allergic to birch pollen, the chances of being allergic to banana are higher. In some cases, allergy to banana arises when an individual comes in contact with the fresh fruit. While cooking the banana may reduce the risk of allergy in some individuals. Signs and symptoms may appear quickly after the fruit is consumed. It may involve the mouth, skin and the gastrointestinal tract. If left untreated, it can have life-threatening effects. During such a phase, immediately consult your health-care provider. Itching can spread to the different areas of the body, such as mouth, skin, eyes, and throat. In severe cases, it can further lead to rashes, swelling and redness causing pain and discomfort to the affected individuals. No one better than you can describe the signs and symptoms that appear after you consume a banana. Describing your symptoms in detail will help the doctor understand the condition better. Inform the doctor about your banana intake and the amount of time after which the symptoms appeared. You must also tell him if you have experienced the same situation before. A person with a positive history of banana allergy may go through some more tests. To diagnose a banana allergy, your doctor may use skin-prick test, which is safe, inexpensive and gives immediate results. During this test, your doctor gently pricks the skin and applies a solution containing the banana allergen. This solution enters into the skin and is then left untouched for the next 20-30 minutes. After 30 minutes, if the test is positive or if you are allergic to banana, a bump and redness of the skin will appear. During this test, the banana allergen is lightly pricked into the skin. It is advisable for individuals with a positive banana allergy history, but a negative skin-prick test. Individuals with latex allergy are at an increased risk of developing a banana allergy. This is possible because both latex and banana have similar allergy-causing proteins. Mild allergy to banana can be treated with anti-histamines. During an allergy, the body cells produce histamine, which gives rise to symptoms such as itchiness, runny nose and eyes, and Treatment with anti-histamines can counteract the symptoms and give relief to the affected individual. Completely eliminating banana and food products that have a banana as their ingredient can be beneficial for individuals with banana allergy. Cosmetics, such as banana-flavored lip balm must be avoided.